the debut Afrobeat single titled  'Ejijo' by the newest kid on the block   and emerging 18 years old singing sensation from Lagos Nigeria, who   goes by the name 'Teezy' with real name is Terrence Chibuzor Oweka. The single features Nigerian UK based acclaimed Afrobeat / Dance producer, Whytepatch and its coming off the four-track EP slated for release by January / February 2018. 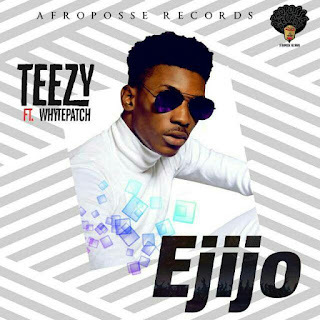 In the main let's have a feel of "Ejijo" as we anticipate the full EP also note that, you have been warned about this New Kid on the block who is set to take over the Nigerian music scene by storm.